The long-delayed Jawbone UP3 will finally make its way to customers beginning April 20, just days before the Apple Watch release date. 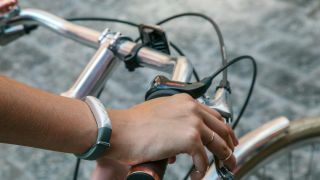 The fitness tracker was on what felt like an interminable holding pattern, and Jawbone apologized not only for the wait but the frustration it caused. US customers who pre-ordered the multi-sensor activity tracker will see the band head out the door on the 20th. Shipments will be sent in the order they were received, and all those who pre-ordered should have a brand-new Jawbone on their wrists by mid-May. Anyone who buys a Jawbone UP3 from today onward will have to wait until all pre-orders are met before their band heads out the door. The UP3 will be available globally "later this year." The wearable was originally announced in November 2014 and was supposed to launch by Christmas last year, but that clearly never happened. It was a story of delay after delay, bringing us to today's announcement. Jawbone, at least, owned up to the cause of the problem. As the UP3 entered mass production, some trackers failed to meet quality standards, the company said. Namely, water resistance was not what it was in the early goings. Jawbone hoped to have - and actually even announced - a water resistance of up to 10 meters, but even after testing it couldn't guarantee water resistance up to that depth. That leaves the UP3 that's shipping on April 20 with a water resistance similar to other multi-sensor trackers. Users can splash water on the UP3, such as when they wash their hands or take a shower, but are warned against swimming with it on or submerging it in water. The Apple Watch, by comparison, is described as "splash and water resistant" by Apple. The company doesn't recommend submerging it in water, though the Watch does have a water resistance rating of IPX7, which cover submersion of 1 meter for up to 30 minutes. Anyone who pre-ordered an UP3 and doesn't want it anymore can cancel their pre-order at no charge.